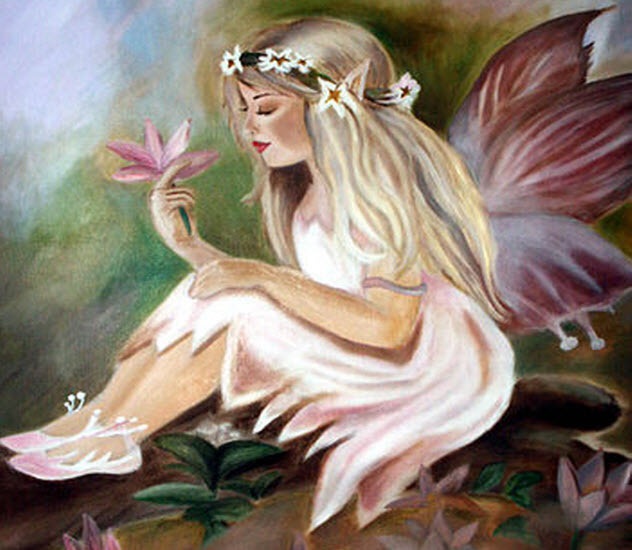 Think you know about fairies, do you? The twinkly little things on TV are a mostly modern, Disney-inspired invention. In the 18th, 19th, and early 20th centuries, fairies were seen and talked about much in the same sense that Bigfoot is today. 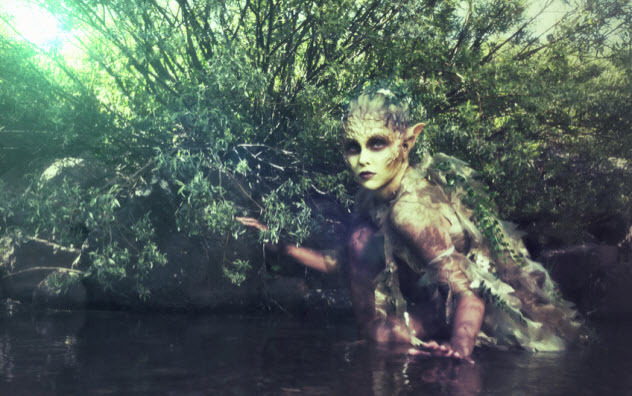 Despite modern skepticism regarding fairies, weird, perplexing encounters and sightings continue to be reported. On a midsummer day around 1853 in County Donegal, Ireland, a boy named Neil Colton was out behind his home with his brother and a female cousin gathering berries when the three of them heard music playing nearby. Stepping around some large rocks, the trio saw a group of six to eight small people dancing in a circle a few hundred feet away. As soon as they spotted the dancers, a small woman dressed in red broke from that group and ran at the children, striking Colton’s cousin across the face with what seemed to be a green rush. Not surprisingly, the children ran for the house. But as soon as they reached it, Colton’s female cousin fell down dead. Colton’s father quickly fetched a priest who, reading psalms and striking the girl with his stole, managed to wake her from her deathlike state. The priest said that had she not grabbed Colton’s brother when she was attacked, she would have been taken by the fairies forever. One day in August 1862, David Evans and Evan Lewis were on their way back from Brecon, Wales, with a load of timber and headed to New Quay. They stopped for a rest near a farm called Cwmdwr. As they watched the reapers working in the fields, Evans spotted a line of 50 or so figures going up the side of a hill about 370 meters (1,200 ft) away. As Evans pointed out the group to Lewis, the first of the figures reached the top of the hill and started to dance. Soon all of the figures had reached the top and were dancing together in a large circle. As Evans and Lewis watched, the figures danced closer and closer to the center of their circle in a spiral pattern. As each figure reached the center of the circle, they disappeared into the ground! 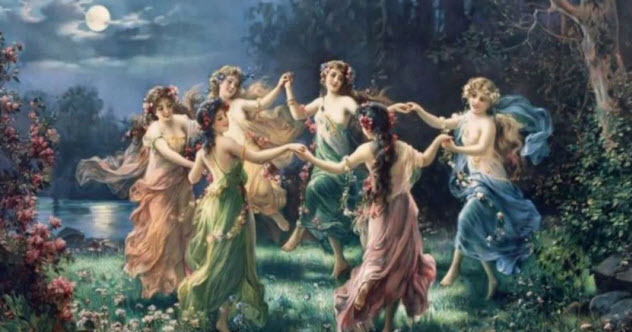 After all had vanished in this fashion, they reappeared the same way, one by one, and danced another round before vanishing back into the hill in the same manner. This time, they did not reappear. Evans and Lewis told the first person they ran into on the road—an old man—about what they had seen and asked if he knew who the dancers could have been. 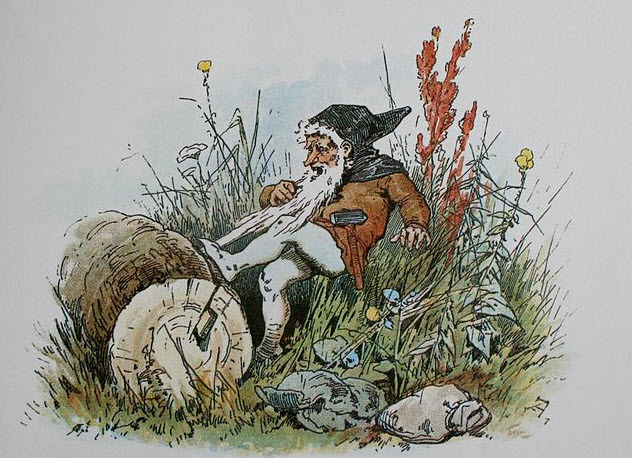 He had no idea himself but did mention that his grandfather had once stated that fairies used to dance in the area. In 1887, folklorist William Martin was taking his vacation on the Isle of Man (in the Irish Sea near Great Britain and Ireland) when he met a mail-cart driver who told him of an annoying experience that he had had in summer 1884. 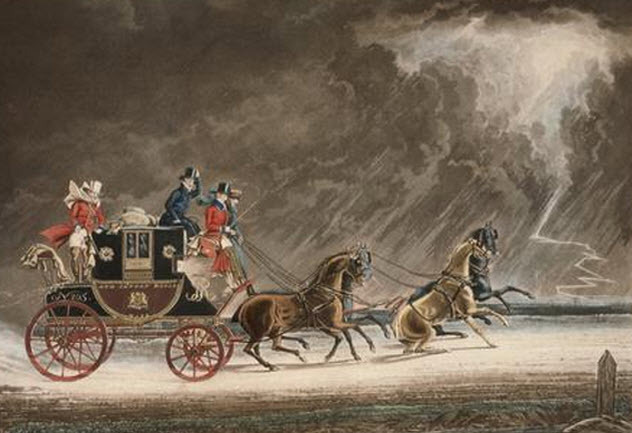 One evening, the mail-cart driver had set out on his rounds to collect bags of mail from the surrounding areas to bring back to the collection center. After gathering the mail, the driver was on his way back and just 10 kilometers (6 mi) from the end of his trip when he encountered a troop of fairies dressed in red and carrying lanterns. The fairies stopped the cart’s horse, threw the mailbags onto the road, and started to dance around the bags. The mail-cart driver, apparently a stubborn sort, proceeded to struggle to get the bags back on the cart. But as soon as he managed to place one on the cart, the men in red would toss it out all over again. This kept on until daybreak, when the fairies left and the mail-cart driver arrived at his destination, hours late and irritated beyond belief. In a 1928 issue of the Transactions of the Devonshire Association, a letter written by Mrs. G. Herbert told of two odd incidents that she had experienced that she felt were evidence of fairies. In 1897, when Herbert was seven years old and out on an afternoon walk, she spied a little man—only about 45 centimeters (18 in) tall—under an overhanging boulder in Dartmoor, England. He had a “wizened” face and was wearing a pointed hat that curved slightly forward, a doublet, and “little short knicker things.” Suddenly, he vanished. Startled, the young girl ran home and told her mother what she had seen, only to have her mother laugh at her. Twenty-eight years later in 1925, a then 35-year-old Mrs. Herbert was riding a horse on the moors of Dartmoor one sunny day. She knew these moors like the back of her hand and was in a well-traveled area when she inexplicably lost her way. She knew the landmarks and places around her yet was utterly unable to decide which way to go. Realizing that she was likely being confused by pixies playing with her, Herbert took action, turning her pockets inside out as a powerful charm against fairy magic. This did the trick. Everything around her became familiar again, and she was able to ride home safely. It was a strange morning, to say the least. One day in May 1913, young brothers Silbie, Sid, and Clyde Latham were chopping cotton on their family’s farm near Farmersville, Texas, when their dogs started to bark frantically at something. The boys went to investigate and found the two dogs barking furiously a small man, only about 45 centimeters (18 in) tall, who was green all over and looked like he was wearing a green sombrero. 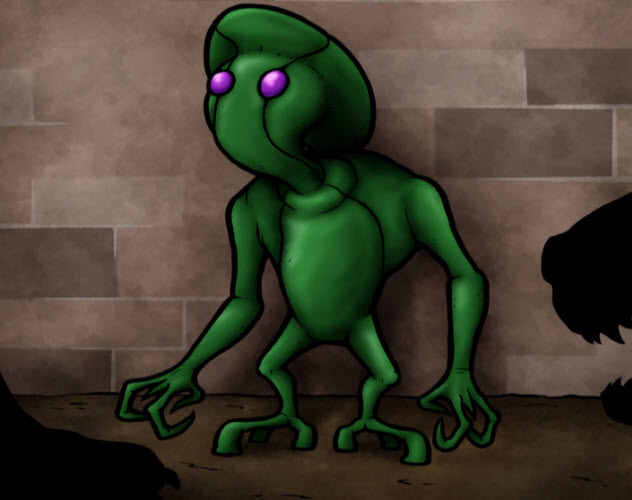 His arms hung at his sides as if they were attached there, and the green appeared to be some sort of rubbery suit that covered his entire body. That was about all the boys saw of the little man before the two dogs attacked and tore him to pieces, spraying red blood and humanlike organs all about. The boys retreated to their work, unsure what to think and a bit horrified. The dogs followed and stayed near them for the rest of the day, as if frightened. The brothers checked a couple of times to be sure that the body actually existed, which it did. But when they told their parents, they didn’t believe the boys’ story. By the next day, all evidence of the little man’s existence and death was gone as if he’d never been there. Sometime around 1937, the Fairy Investigation Society of England—yes, there really was one!—received a letter from a young woman who had experienced a very strange encounter while staying at an old house in Gloucester. The house had a garden that attached to the forest of Birdlip Beeches. One day after she had washed her hair, the young woman walked to a nice sunny spot out of sight of the house to let her hair dry as she enjoyed the scenery. Then she felt an odd tugging in her hair. She turned to look and discovered a man—only 23 centimeters (9 in) tall and dreadfully ugly and wrinkled—tangled up in her hair. His skin was the color of dead leaves, and he complained in a high, squeaky voice that she had no right to be there as he struggled with her hair. But the moment he freed himself, he disappeared. In 1948, Mr. E.J.A. Reynolds was just 10 years old when he was visiting Horsham, England, during a school summer holiday. He went out one moonlit night to set rabbit traps and then waited nearby to see if he would catch anything. After a short while of waiting quietly, however, a 45-centimeter-tall (18 in) man covered in hair stepped out from a blackberry bush near the boy. This odd visitor didn’t seem to know that the boy was there, so Reynolds got a good look at the strange man. His face was bare and leathery with a sharp nose. His arms seemed to be longer compared to his body than a human’s would be. After a short time, the odd man stepped back into the bush. The couple whom Reynolds was staying with laughed at him when he told them about seeing the little man. So a few days later, Reynolds probably kept his mouth shut when he was riding on top of a double-decker bus through Horsham and spotted the hairy little man walking across a garden in town—this time in broad daylight. Mary Treadgold, a children’s book author in England, was riding on a bus on the Isle of Mull on April 30, 1973, when the bus pulled to the side of the road to let an oncoming car pass by. As Treadgold looked across peat to the side of the road, she noticed a young man with a shovel digging a hole near a patch of heather. He caught her eye for two reasons. 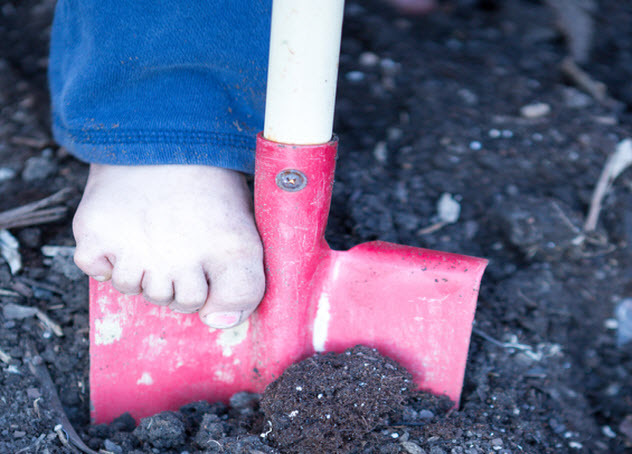 First, he was posed with a foot on the shovel ready to drive it into the ground. Yet he wasn’t moving, as if frozen in position to try to be less noticeable. Second, he was only about 45 centimeters (18 in) tall. He was wearing blue overalls and a white shirt—which almost seemed to glow—with the sleeves rolled up. He also had tight, curly brown hair and a sack on the ground next to him. Treadgold stared at the young man for about four seconds, long enough to confirm that she was looking at an actual living being and not a statue of some sort. Then the bus started to roll away. She tried to turn to look back but wasn’t fast enough. Soon the spot was lost to view. 2 An Actual Twinkly Fairy? The May 1977 issue of FATE, an American magazine devoted to stories of odd events, printed a letter from Cynthia Montefiore describing two strange things that she saw at her mother’s home in Somerset, England. One day, Montefiore was in the garden with her mother, who was showing her how to take cuttings from a rose tree. They were standing on opposite sides of a rose tree when her mother suddenly put a finger to her lips to indicate that they should be quiet. Then she pointed to one of the blooms. 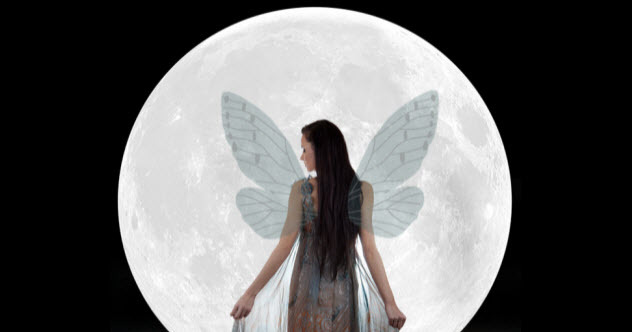 There, plain to see, was a 15-centimeter-tall (6 in) woman with beautiful wings like those of a dragonfly. She was pale pink with long silvery hair and was pointing a small wand with a glowing tip at the center of the flower. The two women watched this little being for about two minutes as her wings beat like a hummingbird’s and she continued to point her wand. Then she simply disappeared. Needless to say, both women forgot to finish the lesson on rose cuttings. Later, Montefiore was sitting under a tree in the same garden reading a book when she noticed something moving in front of her. She looked up to see what looked liked a “sturdily built” figure in a one-piece brown suit run from the lawn to a young fir tree, where it disappeared. The figure was only about 45 centimeters (18 in) tall. Montefiore jumped up to look at the fir tree but could find nothing unusual or useful. It was a summer evening in 2005 when a man identified only as “J.F.” claimed that he and his girlfriend were part of a group visiting a friend’s house in Chicora, Pennsylvania. The house was in a thickly wooded area, and they had watched the sunset from the back deck of the house. They continued to chat and hang out as the night grew darker and cooler, the deck lit by a single spotlight. Then they heard a noise in the potted plants near the spotlight, and everyone turned to look as something shot into the air from the pots. The creature was about 30 centimeters (12 in) tall. It appeared to have a human head with long, pointy ears and something wrapped around its body. It paused for a moment in midair, just between the spotlight and the people. Then its wings opened, unwrapping from around the apparently female being’s body. The wings were batlike in that they appeared to be a membrane stretching from her fingers to her toes, and veins could be seen where the spotlight was shining through. But in overall shape, the wings resembled that of a butterfly. The whole little being seemed to lightly glow with a greenish light. Garth Haslam has a degree in anthropology and specializes in folklore and religious studies. He’s been digging into strange topics for over 30 years and posts his research on varying anomalies, curiosities, mysteries, and legends at his website, Anomalies—The Strange & Unexplained. Check it out at http://anomalyinfo.com.